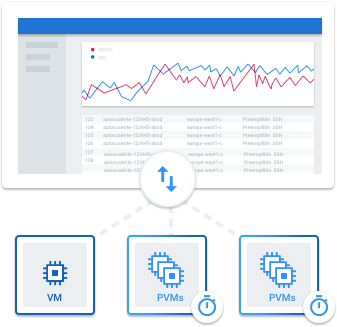 Run large-scale workloads on virtual machines hosted on Google’s infrastructure. Choose a VM that fits your needs and gain the performance of Google’s worldwide fiber network. Google Compute Engine delivers virtual machines running in Google’s innovative data centers and worldwide fiber network. Compute Engine’s tooling and workflow support enable scaling from single instances to global, load-balanced cloud computing. Compute Engine’s VMs boot quickly, come with persistent disk storage, deliver consistent performance and are available in many configurations including predefined sizes or the option to create Custom Machine Types optimized for your specific needs. Flexible pricing and automatic sustained use discounts make Compute Engine the leader in price/performance. Compute Engine VMs boot quickly and are consistently high performance. Compute Engine also offers industry-leading local SSD performance. Compare throughput on equivalent IaaS offerings and see the difference our VMs can make for your workloads. Google bills in minute-level increments (with a 10-minute minimum charge), so you only pay for the compute time you use. With sustained use discounts, we automatically give you discounted prices for long-running workloads with no up-front commitment required. Create large compute clusters that benefit from strong and consistent cross-machine bandwidth. Connect to machines in other data centers and to other Google services using Google’s private global fiber network. Create an instance, check the network configs, run some tests. Our infrastructure is entirely carbon-neutral. Our global network of datacenters consume less than 50% less energy of the typical datacenter and 35% of our energy comes from renewable resources. We are growing our global datacenter footprint so your applications can run closer to your customers and distribute geographically for resiliency. Preemptible VMs are highly affordable, short-lived compute instances suitable for batch jobs and fault-tolerant workloads. Preemptible VMs offer the same machine types and options as regular compute instances and last for up to 24 hours. If your applications are fault-tolerant and can withstand possible instance preemptions, then preemptible instances can reduce your Google Compute Engine costs significantly. Preemptible VMs are up to 70% cheaper than regular instances. Pricing is fixed so you will always get low cost and financial predictability, without taking the risk of gambling on variable market pricing. 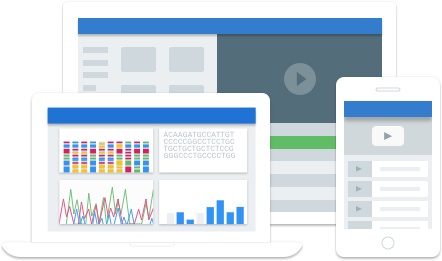 Throw preemptible VMs at any short-lived or fault-tolerant workload such as genomics, pharmaceuticals, financial modeling and simulation, rendering, media transcoding, manufacturing design, Hadoop and big data, continuous integration, and web crawling. Supplement your regular VMs with lower cost, preemptible instances to finish your compute-intensive work more quickly, saving you time and money. Run your applications on a fully-managed Platform-as-a-Service (PaaS) using built-in services that make you more productive. Just download the SDK and start building immediately. 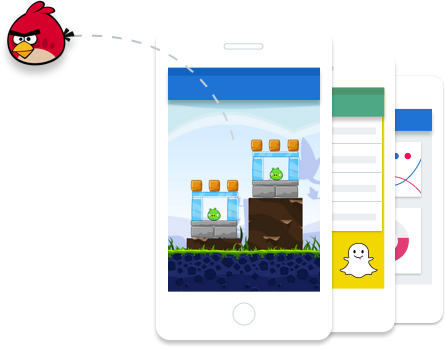 Google App Engine is a platform for building scalable web applications and mobile backends. App Engine provides you with built-in services and APIs such as NoSQL datastores, memcache, and a user authentication API, common to most applications. App Engine will scale your application automatically in response to the amount of traffic it receives so you only pay for the resources you use. Just upload your code and Google will manage your app’s availability. There are no servers for you to provision or maintain. With built-in services such as load balancing, health checks, and application logging, you can deploy web and mobile applications much faster. App Engine offers built-in auto-scaling so that your apps can instantly scale automatically based on need, from zero to millions of users. Security Scanner automatically scans and detects common web application vulnerabilities. It enables early threat identification and delivers very low false positive rates. You can easily setup, run, schedule, and manage security scans from the Google Cloud Platform Console. App Engine works with popular development tools such as Eclipse, IntelliJ, Maven, Git, Jenkins, and PyCharm. You can build your apps with the tools you love without changing your workflow. 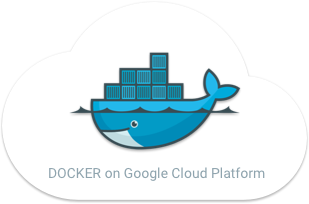 Run Docker containers on Google Cloud Platform, powered by Kubernetes. Container Engine takes care of provisioning and maintaining the underlying virtual machine cluster, scaling your application, and operational logistics like logging, monitoring, and health management. Set up a managed container cluster of virtual machines, ready for deployment in just minutes. Your cluster is equipped with capabilities, such as logging and container health checking, to make application management easier. Declare your containers’ requirements, such as the amount of CPU/memory to reserve, number of replicas, and keepalive policy, in a simple JSON config file. Container Engine will schedule your containers as declared, and actively manage your application to ensure requirements are met. With Red Hat, Microsoft, IBM, Mirantis OpenStack, and VMware (and the list keeps growing) working to integrate Kubernetes into their platforms, you’ll be able to move workloads, or take advantage of multiple cloud providers, more easily.